Have friends but never trust them. Push to share everything but always be the first to choose! In case of zombie attack, have a shotgun handy. In front of the horde, run faster than the others. 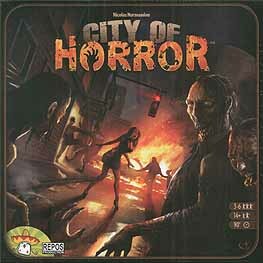 In City of Horror, you take on the roles of the last survivors of a city attacked by a horde of zombies. Organize yourselves, share weapons, but most importantly, be ready to do anything to survive!